Ms. Kallicharran directs DFG’s loan operations. Ms. Kallicharran has over seventeen years of experience in portfolio administration and operations. Prior to joining DFG she spent six years as the Senior Portfolio Administrator at Kingsland Capital, where she was responsible for bond and loan administration of five CLOs with total AUM of $2.1bn. Her responsibilities included compliance reporting and duties as relationship manager on three CLO funds. 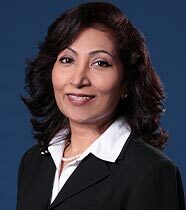 Prior to joining Kingsland, Ms. Kallicharran was a Portfolio Administrator at Bayerische Hypo-und Vereinsbank AG (HVB Group) in the Acquisition and Leveraged Finance Department, and a Fund Administrator with HVB Credit Advisors LLC for four years, where she was mainly responsible for the administration of two CLO funds. Prior to HVB Group, Ms. Kallicharran was a Portfolio Administrator in the Leveraged and Structured Finance Department of The Dai-Ichi Kangyo Bank. Ms. Kallicharran received a diploma in Economics, English Literature and Geography from Queens College, Georgetown, Guyana.